Have you ever considered invoice financing, but thought the cost would be prohibitive? Well, maybe the question should be what is the cost of not financing your invoices? If you’re turning down a large job or contract because you don’t have enough working capital, think about the associated revenue your business is missing out on. 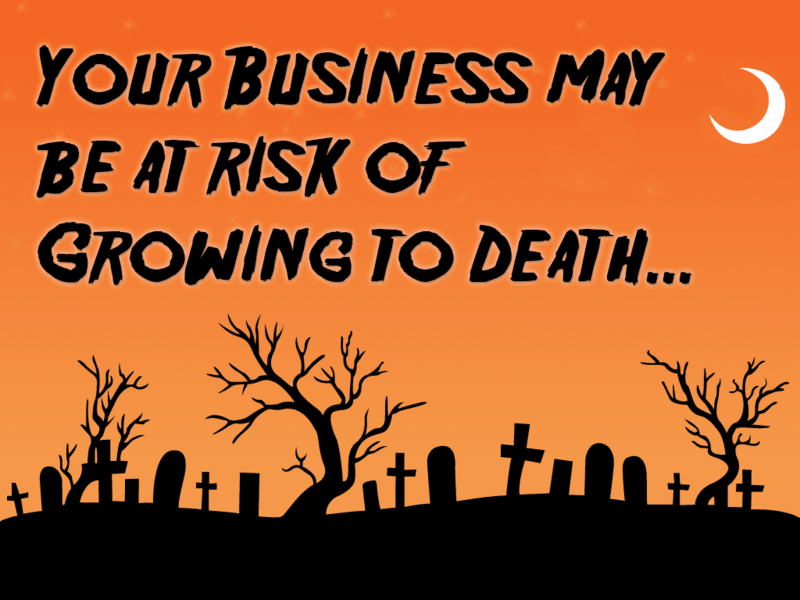 Consider not just the lost opportunity cost, but also the growth opportunities your business is missing due to a lack of cash flow. With invoice financing, we advance up to 90% of your outstanding invoices, so you get the capital you need right when you need it. Our funding decision is based on the credit quality of your clients that owe on the invoice, not your credit score. Once the invoice is paid, we remit the balance back to you, minus our fee. There’s no lump sum loan amount to repay or minimum monthly payments to make. Invoice financing simply gets you your money faster, providing you payment within 24 hours of submitting your invoice for your delivered product or service. SouthStar is more than just a source of steady capital. You can also think of us as your accounts payable and accounts receivable departments. We’ll handle your billing and keep up with which customers have paid and which are outstanding. This is at no additional cost and saves you from hiring office staff to do the job. We also provide credit checks on your new clients to ensure the credit-worthiness of your new prospects. The 5 reasons to grow your business with Invoice Financing. Qualifying for a bank loan can be strenuous and time consuming, especially if you have a challenged credit history. Invoice Financing is different, in that the qualification process is based on your customers’ credit, not your own. Why should you have to wait 30, 60, or even 90 days to get paid by your customers? Invoice Financing allows you to unlock the cash within your business immediately, making growing your business easier. Invoice Financing is a means of accelerating payments you’ve already earned. You can choose to finance invoices as you please, and there’s no restrictions on the amount of invoices you submit. You can also use your financing as you see fit, whether it be to order new materials, purchase new equipment, or meet payroll. Compared to alternatives, such as merchant cash advances and title loans, Invoice Financing is an inexpensive way to fund your business. No extraneous fees, just a set rate. 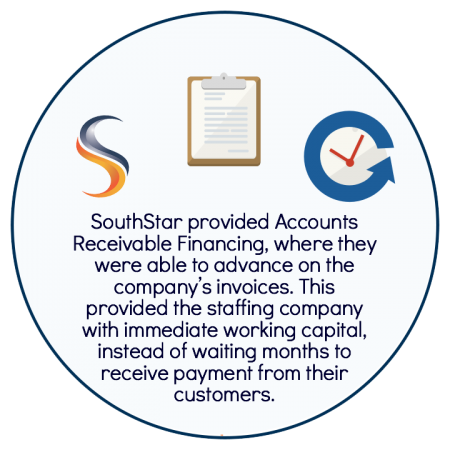 Working with an asset based lender, like SouthStar, helps reduce the various expenses associated with processing invoices and collections. We will handle your collections, so you can concentrate on managing your business and not having to worry about day-to-day accounts receivable. company than a Business Loan. 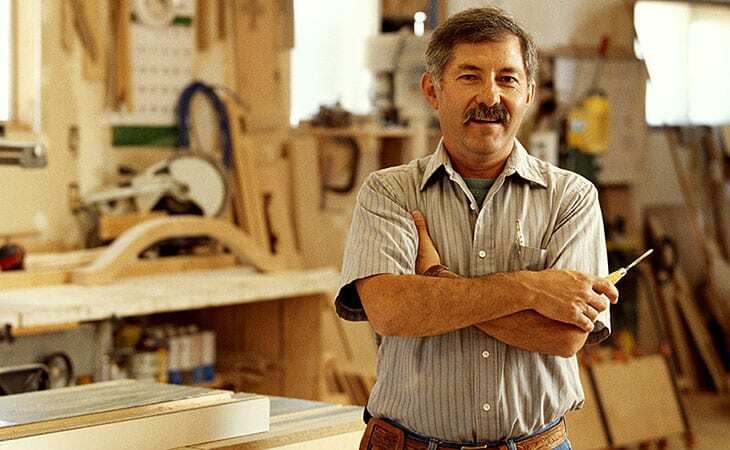 According to The Service Corps of Retired Executives (SCORE), 82% of start-ups and small businesses fail because owners have a poor understanding of cash-flow management and lack the ability to access working capital needed for growth. One funding option that is often overlooked is invoice financing. This alternative lending method does not have the same strenuous requirement process as a traditional business loan. The main qualification is that a company has customers with outstanding invoices that are paid on terms. Below, we will take a look at why invoice financing might be a good fit for you. Invoice Financing doesn’t require a company to take on additional debt or have the pressure of paying back debt. The less debt acquired, the better your balance sheet, financials, ratios and investor perception. It also allows companies to receive needed capital without the hassle and risk of a loan. If a company needs money fast, there are few better options then invoice financing. In 2-3 days, a company can receive up to 90% of their outstanding invoices. After initial funding, capital can be provided within 24 hours. In order to receive a bank loan, a company has to provide all of their financial statements, have very good credit, and have been in business for a good amount of time, generally more than 3 years. In contrast, invoice financing lenders are mostly concerned with the credit of the entity (debtor) that owes on the invoice, or your customer. 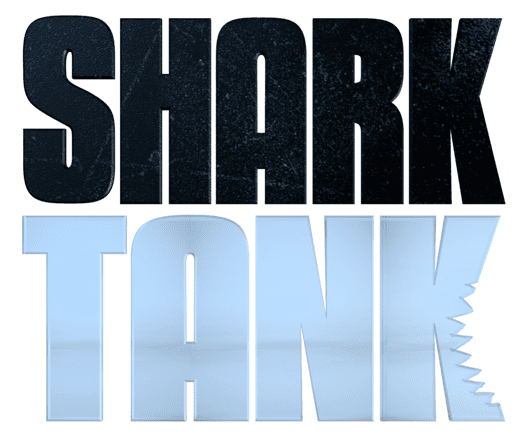 This non-traditional approach takes a lot of pressure off the company in need of money. Most Invoice Financing lenders will also handle collection duties for all invoices (even invoices not being financed). This service can provide huge savings for your company, as well as the ability to concentrate on managing your business and not having to worry about collections. Does Making Payroll Stress You Out? Payroll Funding may be the answer. 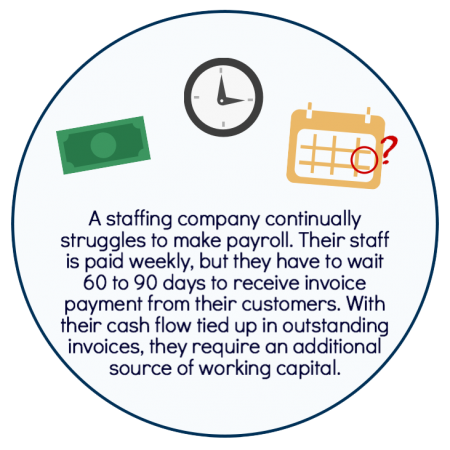 Funding payroll can be a challenge without a constant source of cash flow. Even if your customers pay within 30 days, your employees likely need to be paid sooner. If your customers have longer payment terms of 45, 60, or even 90 days, Payroll Funding may be a necessity for paying your employees on time. Slow paying customers, rapid growth periods, seasonal patterns, selling on credit terms, and other factors can create cash flow challenges for your business. With Payroll Funding, rather than waiting for your customers to pay, SouthStar will advance up to 95% of the total value of your unpaid invoices immediately. Then you receive the remaining balance, minus a small fee, once the invoice is paid. This process can be repeated for as many invoices you submit. By having access to unlimited working capital, you will always have the cash flow needed for payroll, as well as other expenses. The process creates zero debt for your company, so you won’t have to worry about paying back loans or high interest rates. 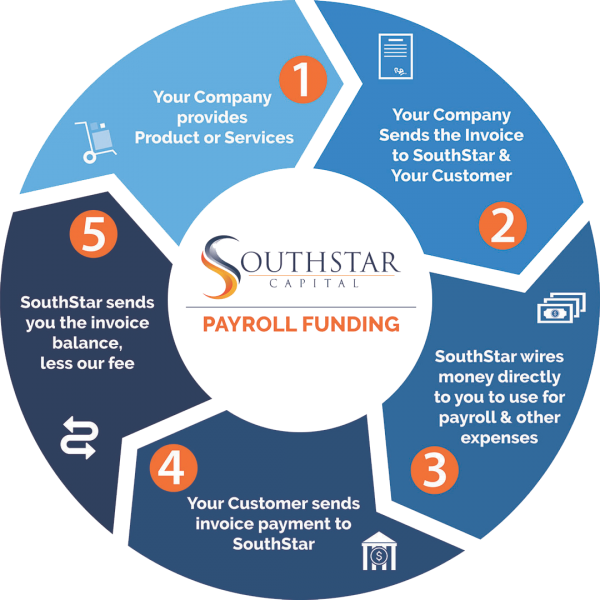 As client of SouthStar’s Payroll Funding solution, you will be assigned a personal account manager who will handle collections, payment processing, and customer credit approvals, allowing you to focus on your business. With Payroll Funding, we look at the credit history of your customer, not your company or personal credit history. Years in business is not a factor in our decision to finance, making Payroll Funding great for start-ups. Once established with SouthStar, you will receive same-day funding on submitted invoices. This gives you access to unlimited working capital, right when you need it. Payroll Funding also allows you to extend longer payment terms to clients and grow your business. When looking for a source of capital, there are several factors your lender may take into consideration. For instance, traditional lenders will first look at your company’s credit history, balance sheet strength, and years in business when underwriting a loan. This way of thinking leads to many businesses being turned down and not receiving the funding they need. SouthStar Capital takes a non-traditional approach and uses your business’s assets, or collateral, to make our funding decision. In-turn we are able advance your business capital by using your collateral as leverage. Any outstanding invoices or money owed to your company by your customer. 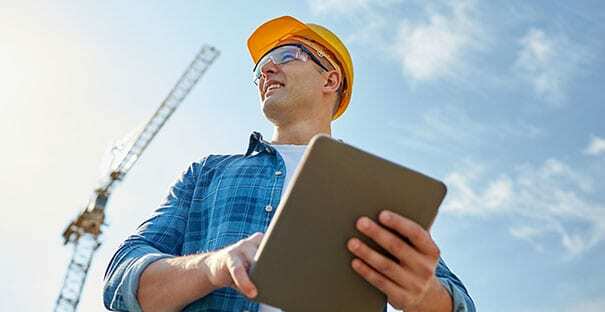 Equipment your company owns, such as machinery, trucks, and specialty equipment. This includes both Work In Progress (WIP) and Finished Goods, each evaluated differently. An order you obtained from a quality company that has agreed to accept your product or service. Property consisting of land or buildings that is owned by you or your company. Refers to creations of the mind and includes such things as patents, formulas, and inventions. This includes both traded and privately held stock, each being evaluated differently. A letter issued by a bank guaranteeing that your customer is able to pay for your goods or services. A savings certificate issued to you, by the bank, with a fixed interest rate and maturity date. Both powered and non-powered wheeled vehicles used by your business on the railway or roadway. Contact us today to learn more about the collateral you may have and your funding options with SouthStar Capital. 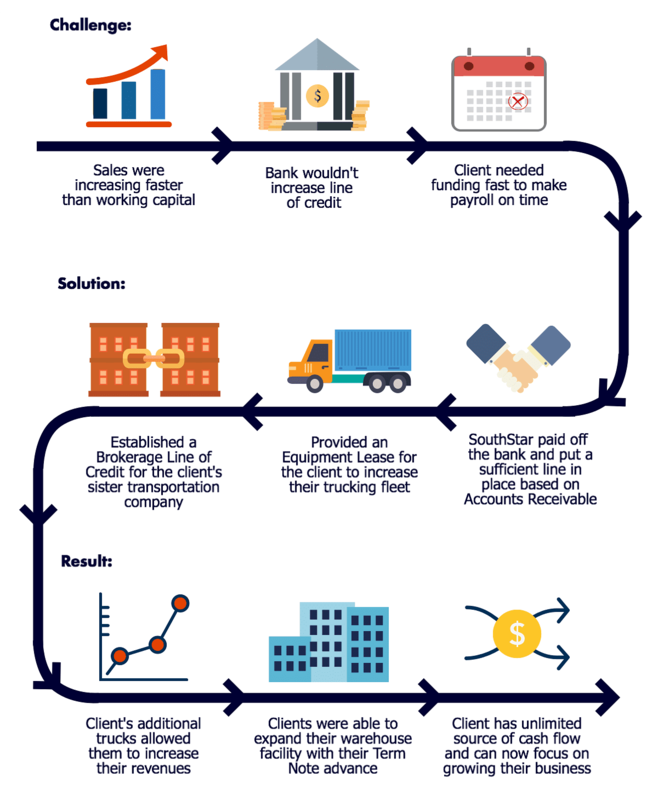 Below illustrates one of the working capital solutions we recently provided through Accounts Receivable Financing. Contact SouthStar today to discuss the benefit Accounts Receivable Financing can have on your business.